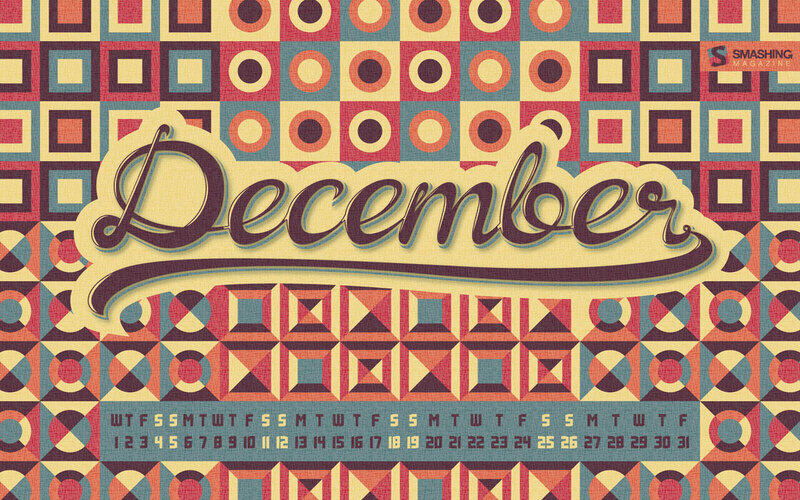 My new desktop wallpaper calendar has been published on Smashing Magazine. 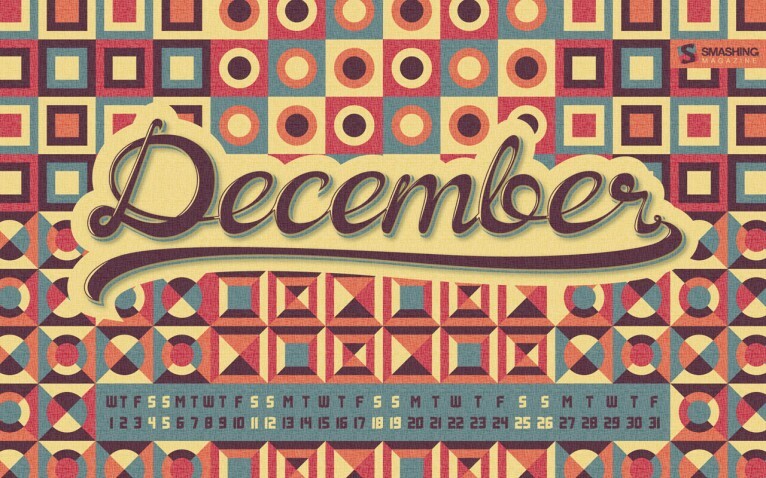 A little warm and colourful retro walpaper for the winter. 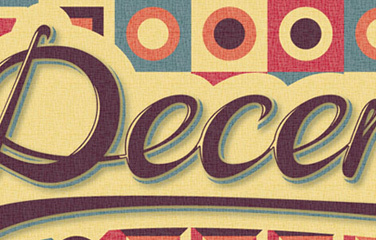 I made custom lettering for the word “December”, and for the digits I used a new font I’m working on these days. The wallpaper is available in 6 sizes, both regular and wide screens, and with or without the calendar. Go on and download yours here.